13 Gruesome (and Scary) Customer Service Horror Stories! You were once a sturdy pumpkin, growing on a curly vine. Now you are a Jack-O-Lantern, see your night lights shine. Customer experience is the most exciting opportunity for businesses in 2018. And so you would think somewhere within a customer experience strategy would be a point (or two) on delivering excellent customer service, wouldn’t you? I know I would, and I’m sure many companies do. As we celebrate Halloween, now is the perfect time to share some gruesome tales around the campfire. And nothing sends a shiver up our spines quite like a customer service horror story from hell! Considering the fact that 68% of customers switch brands due to poor service, it’s only right that we spread these cautionary tales for the good of businesses across the world. That’s why we’ve put together 13 (yes, thirteen…) gruesome customer service horror stories. How often do you browse before you buy? 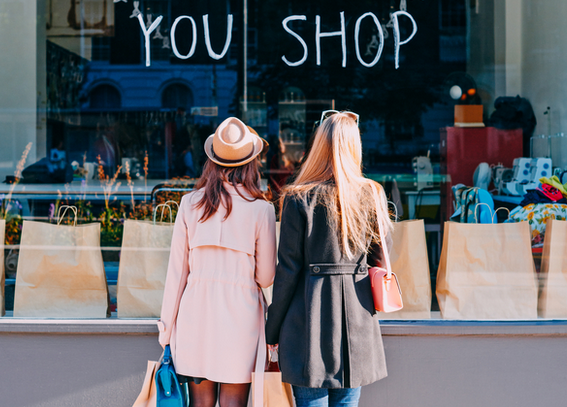 Most of us enjoy a bit of window shopping, and for most business owners, it’s perfectly acceptable. After all, the customer journey is a process – we gather information and inspiration before making a decision and parting for our hard-earned cash. That’s what shops are there for, to showcase products and generate sales, right? One Australian brand, Gasp, took an entirely different viewpoint on this subject. In fact, they took things so far that one bride-to-be was laughed at by staff and issued a not-so-apologetic response when she made a complaint. The lady in question was searching for bridesmaid dresses for her upcoming wedding, and was considering her options. Initially, she was treated normally by staff. However, as time passed, a pushy sales assistant quickly came to the conclusion that she wasn’t there to buy and told the lady and her three bridesmaids, “I knew you girls were a joke the minute you walked in!”. Wow! Talk about jumping the gun! The sales assistant was of course wrong. The lady had every intention of buying, but unsurprisingly left the store immediately after her poor treatment and sent a complaint by email to the Gasp head office. Let me guess: like me, you think this ends with an apology from Gasp. I thought so too. And I was wrong! After complaining to the Gasp head office, the lady received a response stating that the shop targets “a very fashion forward customer”, and the sales assistant in question is simply “too good at what he does.”The response continued with “he knew you were not going to buy anything before you even left your house” and “I am sure there are plenty of shops that appease your taste”. No matter how ‘good’ your sales assistants may be, they cannot read a customer’s mind. Every customer deserves to be treated with respect and patience, so let them make a purchase at their own pace and never (ever!) condone personal attacks made by your staff. Twitter is a great platform for sharing content and discussing trending topics, but perhaps it’s most handy use is for customer service and complaint handling. Many brands even have their own customer support Twitter accounts, staffed by a team that responds to questions and problems. To streamline the customer service process, many businesses set up an auto-responder to acknowledge @mentions on Twitter and assure the customer that their complaint is being handled. 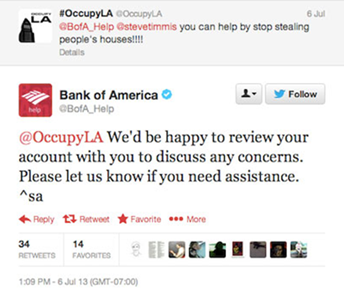 But this is dangerous territory, because auto-responders can lead to some embarrassing fails – none more so than the Bank of America’s Twitter fiasco during the Occupy movement. After an Occupy activist was chased away from a Bank of America building by police in New York, he decided to tweet the picture and mention @bankofamerica within his 140 characters. As with most @mentions, the bank was quick to reply. However, the reply was an auto-responder with a generic “Thank you for contacting us. How can we help?” message. Now, if you are trying to order a new bank card or increase your card limits, an auto-reponder with this message might be appropriate. But, not when you are being chased away by the police! Following the incident, the Bank of America insisted that they use ‘personal’ messages for all of their Twitter replies. I’m not so sure…. and the evidence suggests the use of an auto-responder, Twitter bot or poor judgement from customer service staff. Be aware of the pitfalls of social media auto-responders and use them at your own risk. By all means have a collection of stock responses to complaints, but assess each tweet before your brand replies, ensuring your tweet is actually relevant and helpful. If one business has had a complete customer service nightmare this year, it’s Comcast. 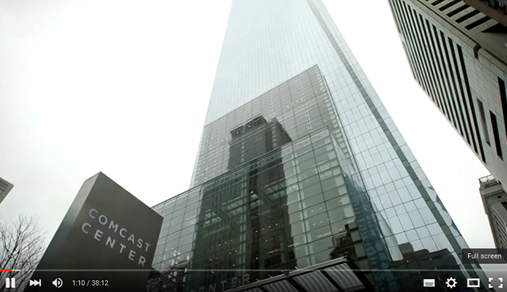 According to research in Philadelphia, 15% of residents trying to get through to the Comcast customer service line reported a busy signal, which is five times more than the accepted level as specified by the FCC. Of course, that’s only the tip of the Comcast iceberg. One customer claims he was left on hold for 3.5 hours while trying to cancel his Comcast service. Another customer’s cancellation request was met with refusal from a customer service rep, who repeatedly demanded a reason for cancellation for eight entire minutes! Another man who tried to cancel his Comcast service for a total of four hours posted a 38 minute excerpt of his telephone conversation on YouTube. Whether your customers want to amend their details, order a product or simply cancel their service, make the process as easy as possible. Dragging it out will only lead to frustration, bad publicity and high customer turnover. Obviously, the customer is always right, right? Not all customer service nightmares revolve around the brand and their team of support staff. Sometimes, the customer is the nightmare. When Gizmodo invited people to share their customer experiences at the Apple Genius Bar, one response that attracted a lot of attention. The respondent was a man who worked at an Apple Store. During a shift on the Genius Bar, he encountered a true nightmare customer that he would never forget. The lady in question had brought her phone along to be fixed. Untroubled, the Apple sales assistant continued to be as helpful as possible. Spotting that the phone was outside its regular one year warranty period, he asked his manager if the phone could be replaced, as the unit qualified for two quality programs. The manager agreed, but with no replacements in stock the lady was asked to pick it up from a store just thirty minutes away. Despite the fact they had gone out of their way to help – offering to replace her phone for free – the lady was not amused. “No, no. Fix this RIGHT NOW,” she said. After hurling verbal abuse at the manager, who explained that there would be no queue at the next store, she said “Frankly, you guys trying to go above and beyond in terms of helping me makes me sick”. Customers will be customers, and some will be rude and upset. Like the Apple Store in this example, the best thing to do is deal with the situation calmly by clearly outlining the way forward. And, of course, calling on a manager when the going gets tough. What’s your favorite scary “printer”? A customer who purchased a printer was having trouble connecting the printer with her Mac, even though the company promised that connecting it to a Mac would not be a problem. After calling through to customer service and being put on hold for hours, the customer service rep responded with “Yeah, really not my problem lady”. The customer went to the nearest Apple store and connected the printer within minutes. Attitude is important to the customer. Even if an issue is not something you are familiar with, your customer service team can easily ask for help or direct the customer to the department that may be able to help. A customer was on the lookout for a children’s book for her grandchild. She approached the customer service desk and asked where she could find the book. The clerk pointed in the direction of the children’s book section and responded with “It’s over there”, and then as the customer walked away, the clerk turned to her co-worker, in an aggravated tone “She didn’t even TRY to find it on her own”. The customer left the store and purchased the book at another bookshop. Be helpful. Customers are not as familiar with your store as your customer service teams are. Finding the book would have led to a sale and a loyal customer. Instead, the customer will shop elsewhere. A customer went into a computer repair store and mid-way through being assisted, the clerk received a phone call, which he answered. Being polite and waiting, but with no sign of the call coming to an end the customer asked the clerk why she had to wait when she was there in person. The clerk’s response was that customers who call in get priority of over customers in store. The customer then went home and called the store from her cellphone. A policy is there as a guideline for the business but there should be room for employees to make decisions in order to provide a better experience. A customer who complained about an issue when using a postal service app set off a string of internal email messages, which ended up with the CEO responding with “Someone also please tell her to #@$% off”. The customer was included in the email reply by accident, who then posted a picture of Twitter. Always think about the customer. All email communication is recorded and even if this was a “bad joke”, the customer did not find it funny. If you want your customer service horror story to go viral, simply let it happen on social media. A major UK airline lost one man’s suitcase on his recent trip. That’s not too uncommon, right? “Sorry for the delay. Our Twitter feed is open from 0900-1700GMT. Please send us a direct message for further support”. Not only did they fail to apologize for losing the suitcase, but they disregarded his complaint and more than likely, made him angrier with the times of when the Twitter customer service account was open. And yes, it did make him angrier. Now, not all businesses need to have a 24/7 Twitter customer service account, but a large airline that runs 24/7 should have some sort of response team ready for these kind of scenarios. If you have a negative experience, the chances are you will not use the same service or product again, right? And some people will even leave a negative review. And in some case, honest reviews are extremely valuable and help a business improve. However, one hotel was really against the idea of someone leaving a negative review that they even went as far as to threaten guests with a $500 fine if they left a bad review! Can you guess how people reacted when they read this? Of course, it spread like wild fire on social media – And the hotels Facebook page was flooded with angry comments. The hotel management has since updated their policy, claiming that it was a “joke” – Even though guests who had stayed at the hotel had already been threatened! 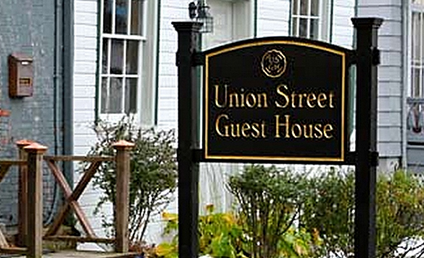 Note to hoteliers; don’t joke with customers and don’t threaten them. They (we) don’t like it! 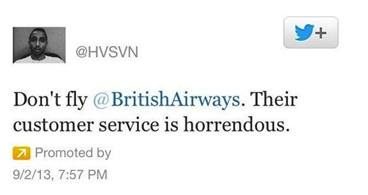 Another airline, and other customer service horror story (when will they learn?)! On the day of her departure, one customer woke up feeling sick. Rather than try to catch the flight, she decided she should move it to a different day. As with all good and responsible travelers, the customer always made sure she paid the $20 travel insurance, in case anything unexpected occurred, which included a sudden illness. And even after more than one hundred flights with this airline, the customer never had to use the travel insurance, except this one time as she tried to rebook the flight. And so she called the customer service and asked to move the flight to another day. Unfortunately, the customer service team was not very empathetic towards her sudden illness and responded with “there’s nothing we can do for you” before hanging up. Instead of simply moving the flight to another day, the airline lost a loyal customer. A customer was hosting a party for more than 150 people and with a strict deadline, needed to collect pricing, quotes, services and venue suggestions in a timely manner, which was seven weeks prior to the event. The customer explained to each catering company that she had a strict deadline – No excuses, she had to meet it and the companies she spoke with had to understand that she could not accept any delays. And they understood. On the day of the deadline, no information was sent out from the catering company. Her first point of contact was on vacation so when she finally got a hold of a contact within the organization asked how they could have missed the deadline, they responded with “I decided you didn’t need it by your due date”. Since when does a company decide when your deadline date is? The company later apologized; however, they didn’t do anything to sweeten this mistake on their behalf. Instead of trying to recover from it, they let the opportunity to make it up to the customer slip by and lost what could have turned out to be a good business relationship. In what could potentially be the worst customer service horror story ever written about, one customer was looking forward to paying off his car loan and tried to cash in his tax rebate of $8,000 with his bank. The bank clerk however didn’t quite believe that the check was real, asking the customer ‘what he did for a living and where he got the check from’. The next day, the police arrested the customer for fraud and he spent five nights in jail before bank investigators and the police were able to clear him. And by then, the car he had hoped to pay off had been towed and auctioned off and, because he hadn’t shown up for work, he was fired. No apology was issued by the bank and it wasn’t until more than a year later, after being contacted by an attorney and a local news reporter that the bank apologized for their mistake. Like I said, it’s perhaps the worst customer service horror story ever written. Poor guy! It’s tough out there in the world of customer service. Some customers are less than friendly, but businesses have a responsibility to deal with complaints with integrity and a touch of class. To avoid the dreaded ‘viral’ nightmare customer service story (and to avoid appearing in blog posts like this one), your team must handle each and every request clearly, quickly, and politely. There’s simply no other way to get by. Poor customer service has major ramifications for businesses. With the help of the internet, it’s easy for your customers to jump ship to a competitor, no matter what your industry, product or service. Don’t give them the push they need to ditch their customer loyalty and look elsewhere because, rest assured, bad customer service is all the reason they need to make that switch. Do you have your own nightmare scenarios that you want to get off your chest? Then share your hellish customer service stories below. If you want to avoid becoming a customer service horror story, download 7 email templates for customer support here. Steven Macdonald is a digital marketer based in Tallinn, Estonia. Since working with SuperOffice, he has led the growth of the blog from 0 to 2.5 million visitors per year. You can connect with Steven on LinkedIn and Twitter. These stories are hilarious to read after the fact because you can't even believe that they are true! I ALWAYS have a terrible experience with Comcast. I mean their customer service is laughable, so I am not surprised about that one. It truly blows my mind how bad some company customer service is! I don't get it! Glad you enjoyed the article, Stephen. I agree - these horror stories are almost unbelievable!